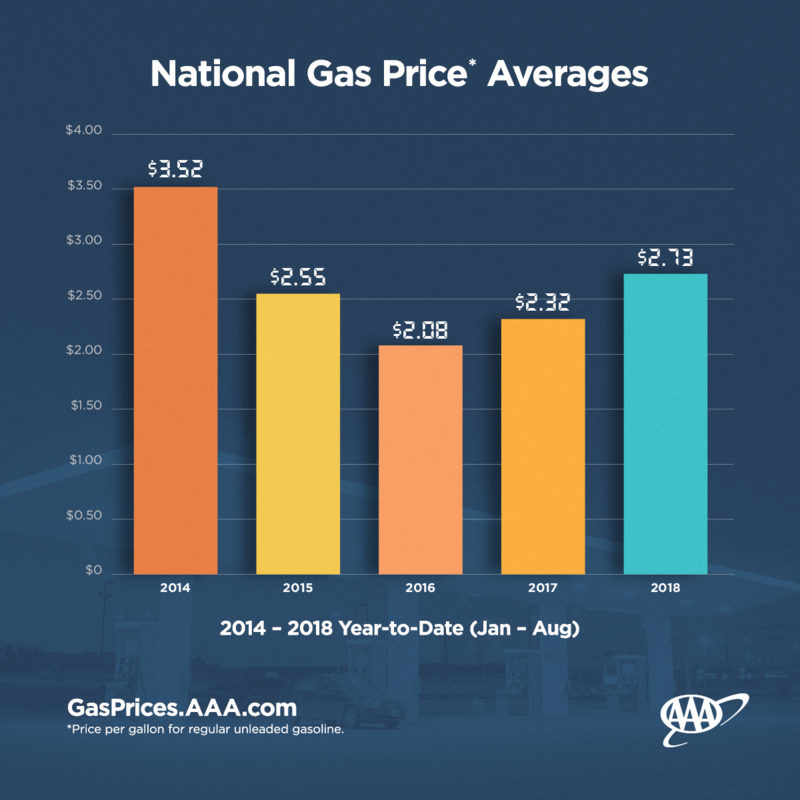 August 29, 2018 – AAA forecasts that the national gas price average will drop to $2.70 this fall and may go even lower. That is 14-cents less a gallon compared to today’s price and more than a quarter cheaper than this year’s high of $2.97 in May. In Oklahoma, where gas prices consistently rank among the lowest in the nation, that drop will more than offset the three-cent gas tax increase that began July 1. Year-to-date, drivers have paid an average of $2.49 in the state, an increase of 39 cents-a-gallon from 2017. 2018 gas prices have been significantly more expensive than 2017. In fact, the year-to-date-national gas price average ($2.71) is 41-cents higher than in 2017. 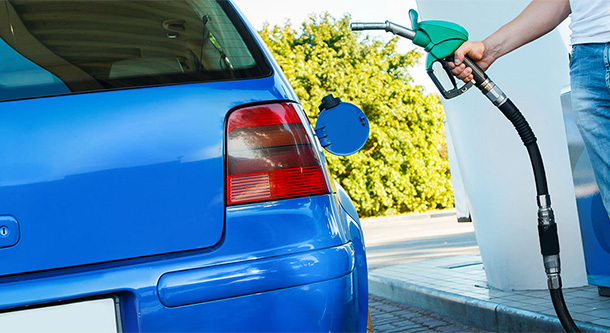 The top 10 states with the largest year-over-year difference in gas price averages are mostly on the West Coast and in the Northeast and Mid-Atlantic. Updated Hurricane Forecast: The National Oceanic and Atmospheric Administration’s Climate Prediction Center predicts a total of nine to 13 named storms.An average six-month hurricane season produces 12 named storms, of which six becomes hurricanes, including three major hurricanes. The mere threat of a hurricane in the U.S. would cause pump prices to spike, likely regionally, due to constrained supply and delivery challenges.